Wanting to play in a couple of challenges and the mojo is a little on the lacking side, so I went to CAS(E) this Sketch for a starting point. 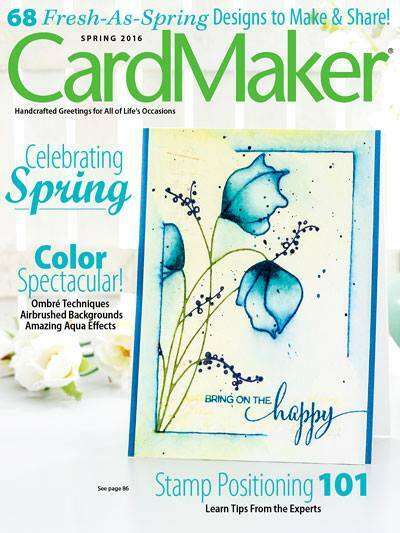 There is just something really fun about a curved border! I grabbed my Delicata Metallics, and started stamping away. Center burst (under butterfly) is stamped in Copper, clustered dots in Gold, circles in Silver and large dots in Bronze. Inked the edges of the mat with Gold. White cardstock was stamped and heat embossed with white powder. 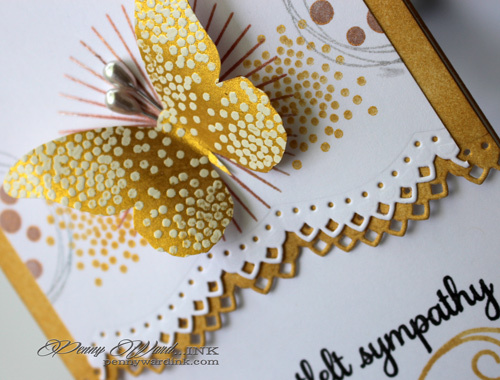 I then stamped the butterfly over that with Delicata Gold and trimmed. 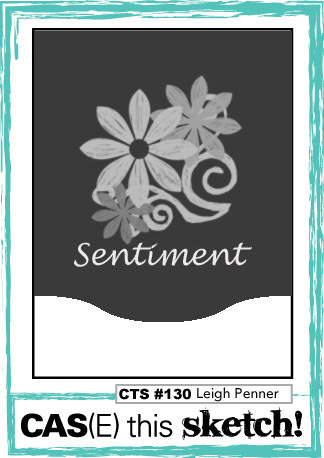 The sentiment needed a little something, something and I love how the gold swirl looks underneath it. You really took up the challenge and run with it!! 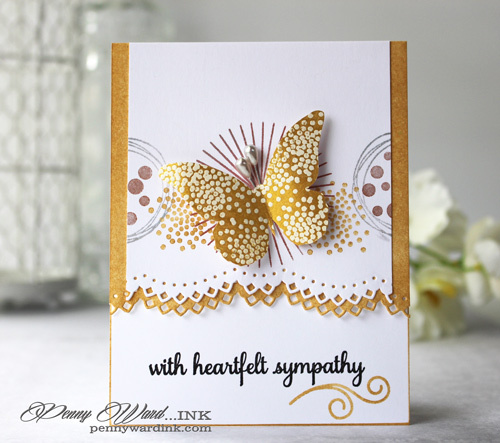 Love love the white dotty details on the butterfly! Masterfully done, Penny! So glad that you join the fun over Simon Says Stamp Wednesday “We’re Going Dotty” Challenge! Beautiful! I love all the layering and texture. Wow! I wish my missing mojo could do this! Gorgeous!